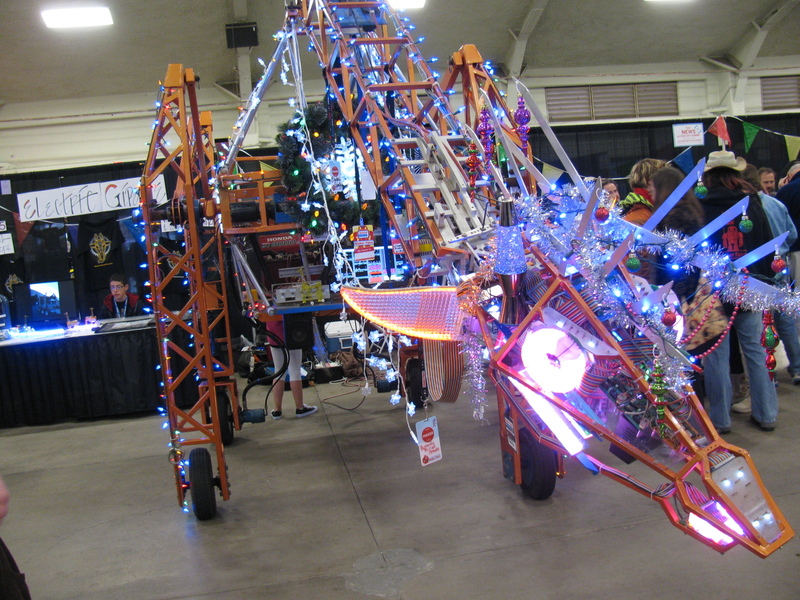 A Mini Maker Faire makes its debut in San Diego at the Del Mar Fairgrounds. 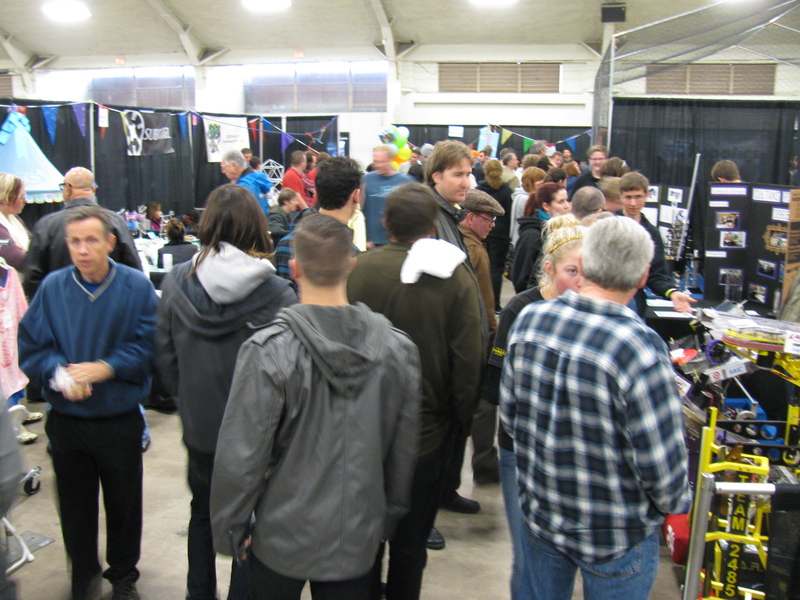 Despite the sometimes heavy rain, most all of the exhibitors (Makers) showed up. 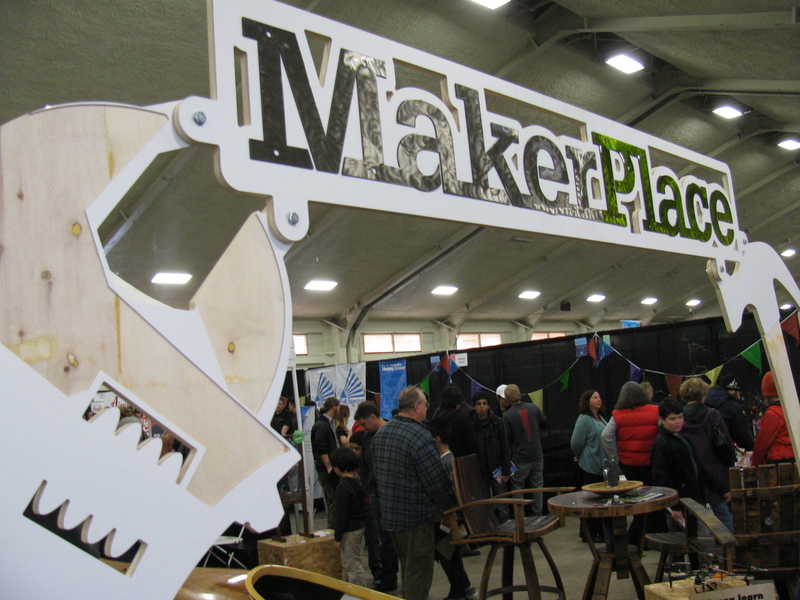 San Diego Mini Maker Faire organizers kept the weather forecast updates on a positive note: “…Forecast: 100% Chance of Great Exhibits” – an excellent promotional phrase. There were around 5,000 tickets purchased, amazing for a first run in inclement weather. 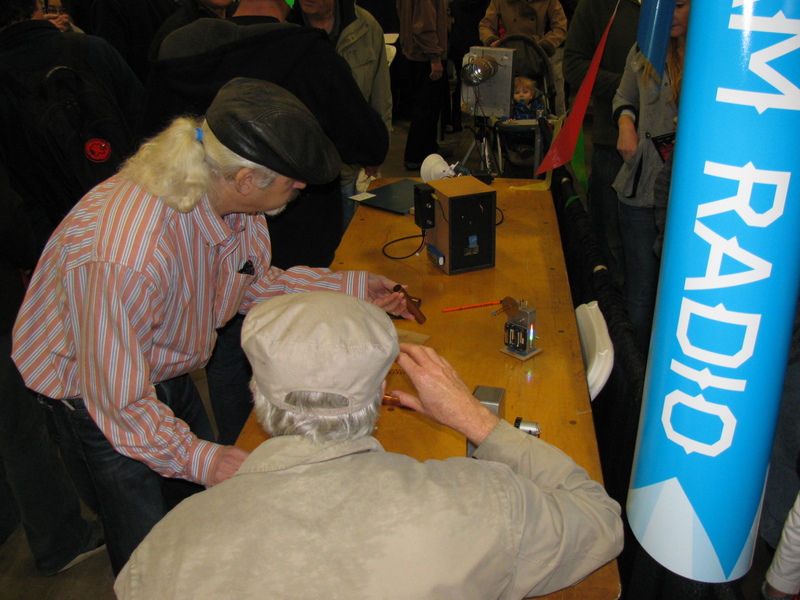 Another positive indicator of interest in San Diego area “Making” is the number of Learn to Solder kits that were made during the event – all 350 of the blinky LED boards were built on Saturday. 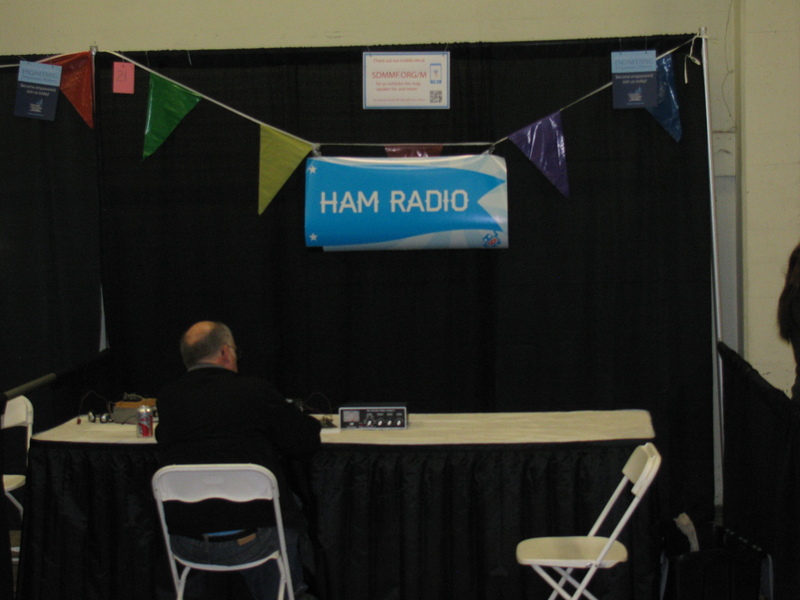 In addition to visitors from our own radio clubs (Rein W6SZ and his XYL, Larry K6HLH and his XYL, Ed W6OYJ, Michelle W5NYV and Paul KB5MU) many other San Diego area hams stopped by. As in previous exhibits, there is a pattern: Those who have a callsign but are not on the air, those who have callsigns and are active on the FM repeaters but not much else. 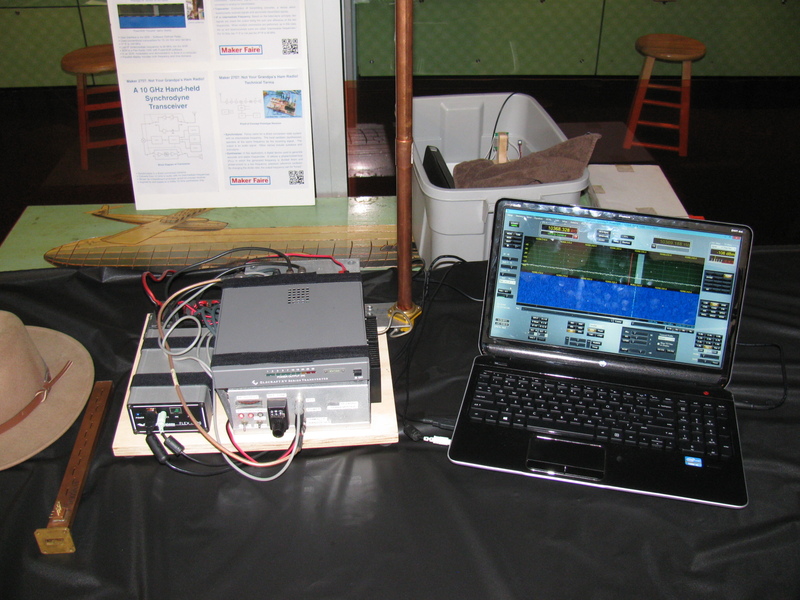 But this is one of the reasons I developed the Maker Faire theme called Not Your Grandpa’s Ham Radio – I want to show something new to licensed (active as well as inactive) hams, and I want to expose those not familiar with ham radio to what some of us are doing with twenty-first century technology in our hobby – we are embracing and doing hands-on experiments with microprocessors/microcontrollers, GPS, micro- and millimeter-wave construction techniques and other exotic radio-related technologies. 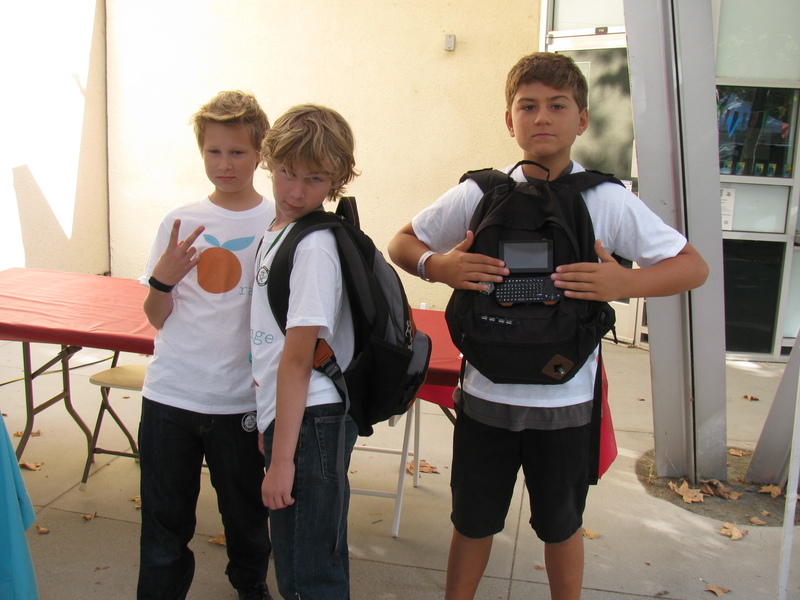 We are having fun while learning new skills and expertise. 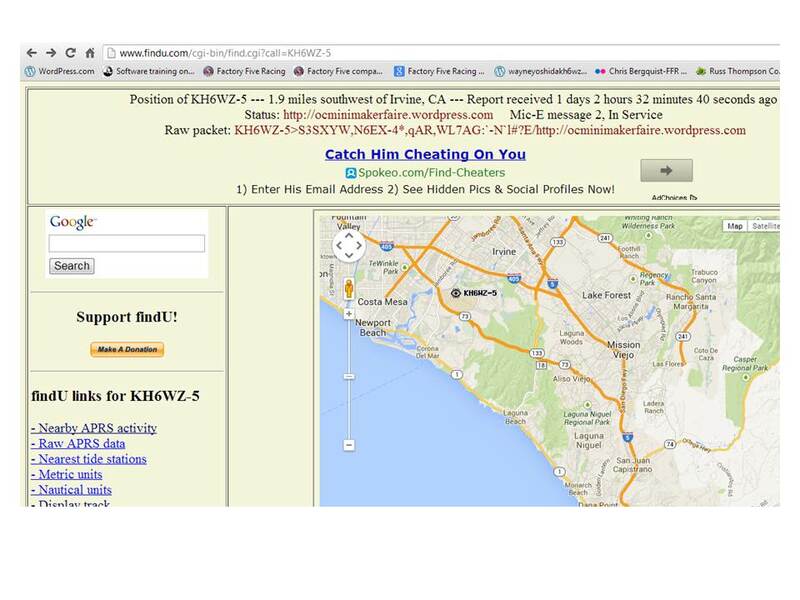 I hope this idea spreads to other active ham radio groups in other locations – surely there are other hams like us who are doing something more interesting than just talking to strangers, friends and family, right? 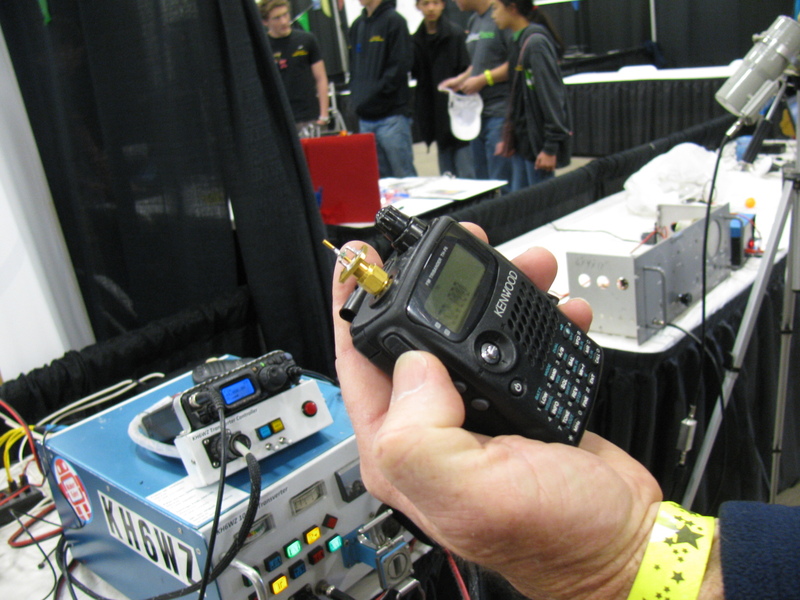 If you are a ham radio operator and are involved in doing something interesting, let me know and we should join forces to help each other increase interest and participation in this concept – since – as most all hams know – being a Maker is certainly not a new idea! 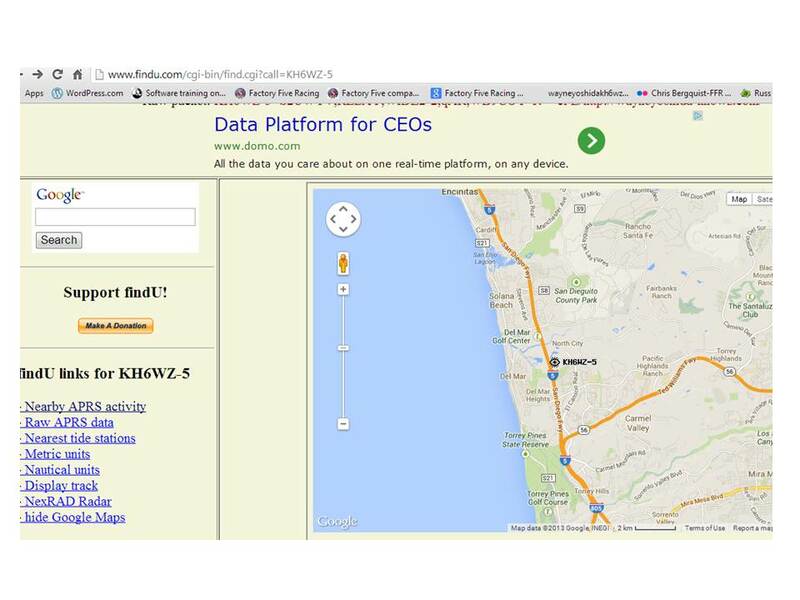 Map showing the KH6WZ APRS beacon location. 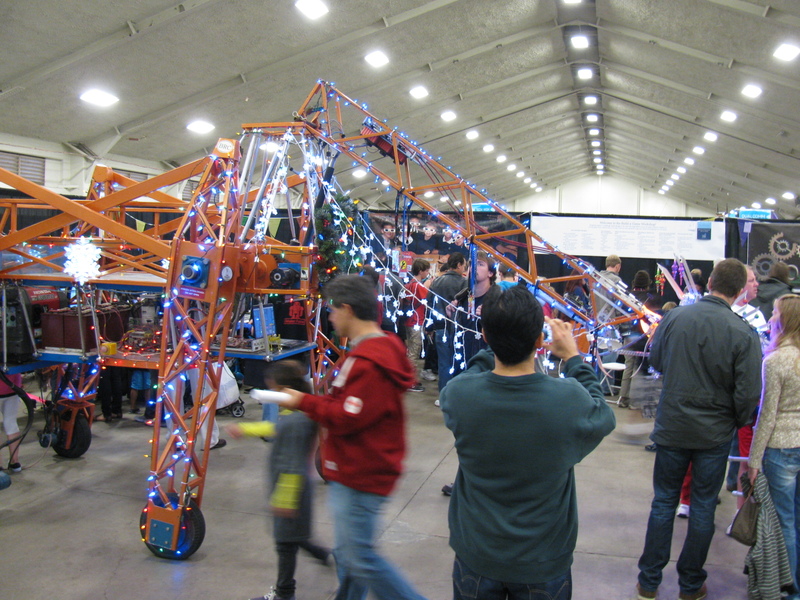 The location is approximate, I had to simulate the GPS coordinates since signals were blocked in the steel and concrete exhibit hall. 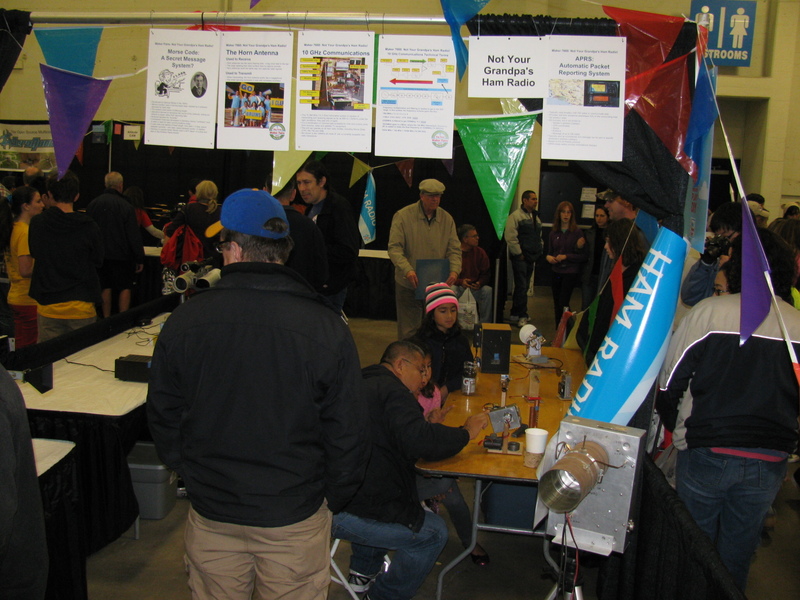 Not Your Grandpa’s Ham Radio at the San Diego Mini Maker Faire – We were lucky there was a no-show next to us, so we combined the empty space with ours at the end of an aisle – good show! 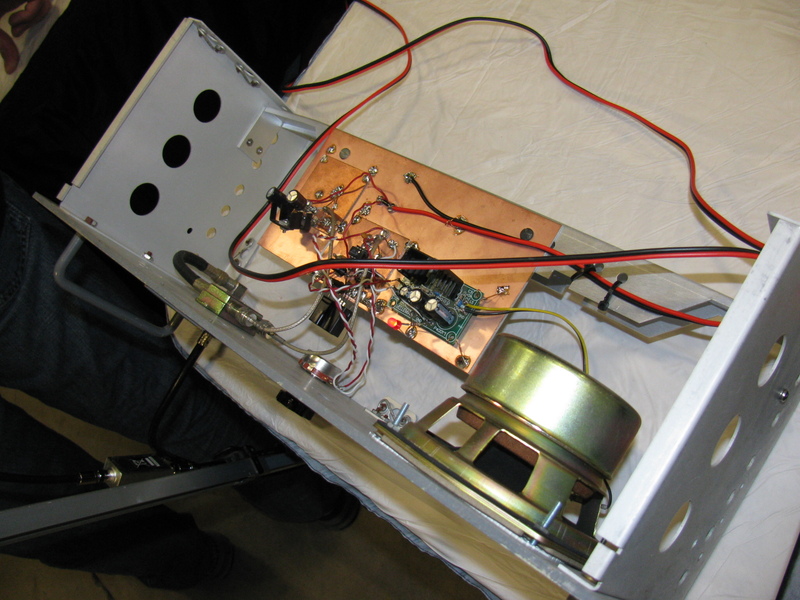 Two more projects by Dennis – On the left, a transmit/receive sequencer, used to turn on or turn off circuit modules (or functions) in a specific order. 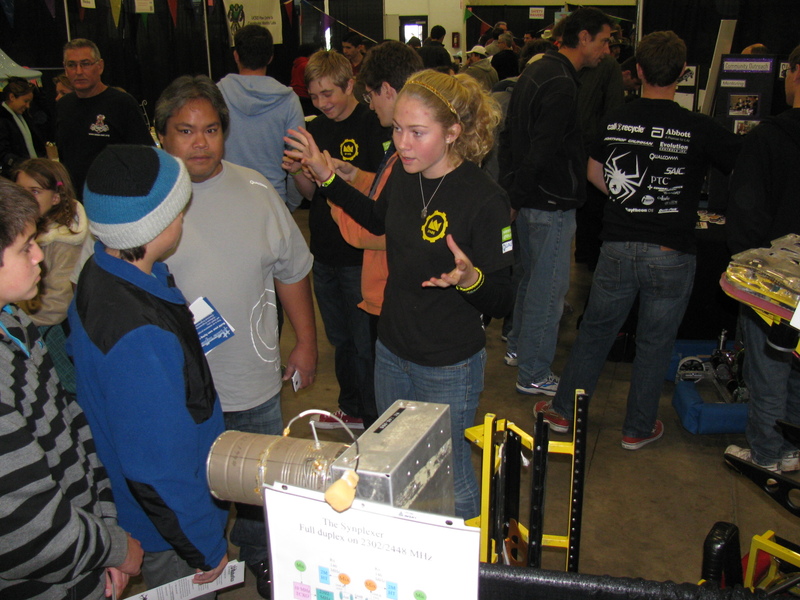 To the right is a circuit under construction/proof of concept receive system using direct synthesis. 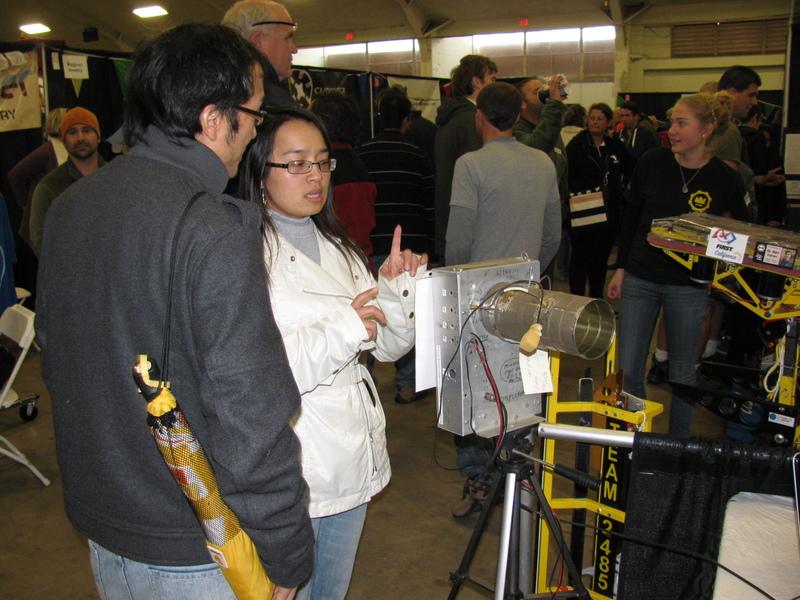 Jason W6IEE brought his airplane IFF detector. I will get a better description of his display in a later update. 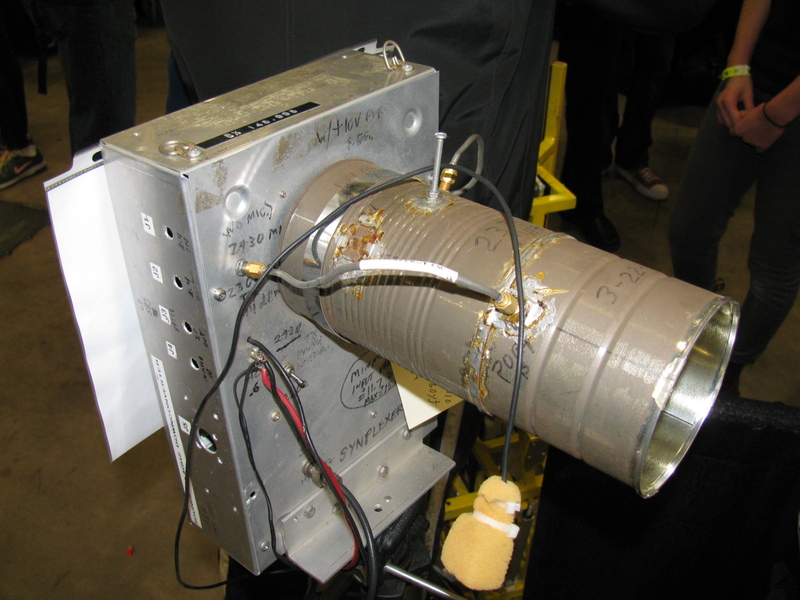 Here’s one of Kerry’s gadgets – a surplus QualComm microwave diode being used to generate a wideband microwave signal. 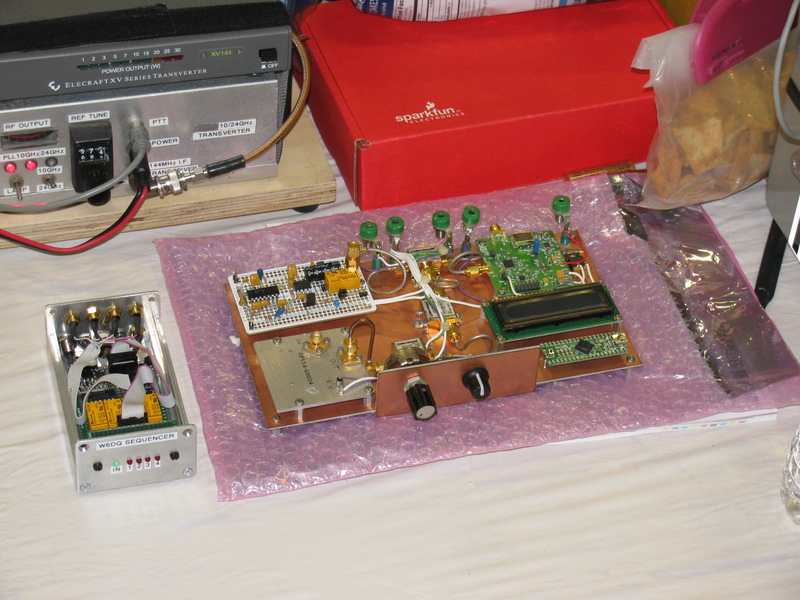 Intended to be used to detect a microwave signal to verify transmitter operation, it can also transmit a signal for voice communication – in this case, to my 10 GHz transverter system shown in the background. Here are three of my projects. 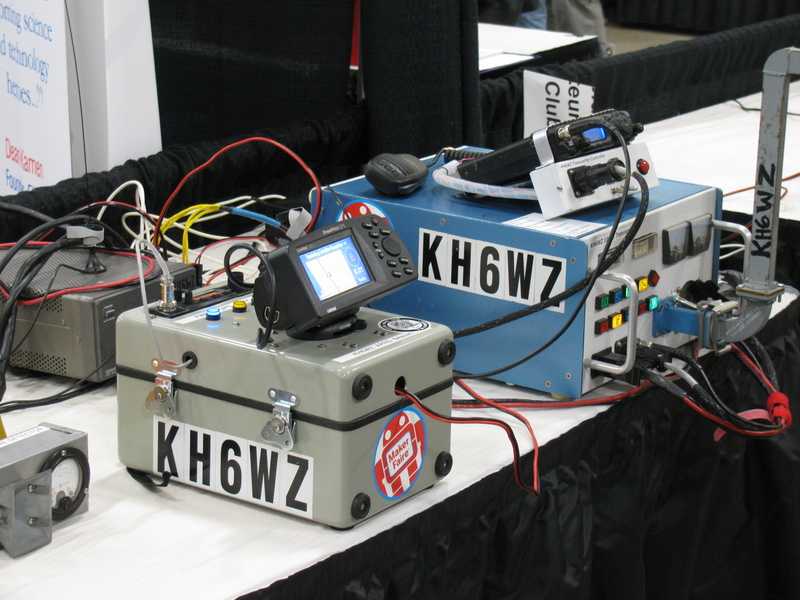 On the far left, is a microwave field strength detector, this is used to demonstrate vertical or horizontal polarization, the KH6WZ unit in the middle is an APRS beacon, transmitting GPS coordinates (this unit generated and transmitted the GPS coordinates used to generate the location on the APRS locator map at the top of this page) and at the far right is my distance record-setting 10 GHz microwave transmitter-receiver system. 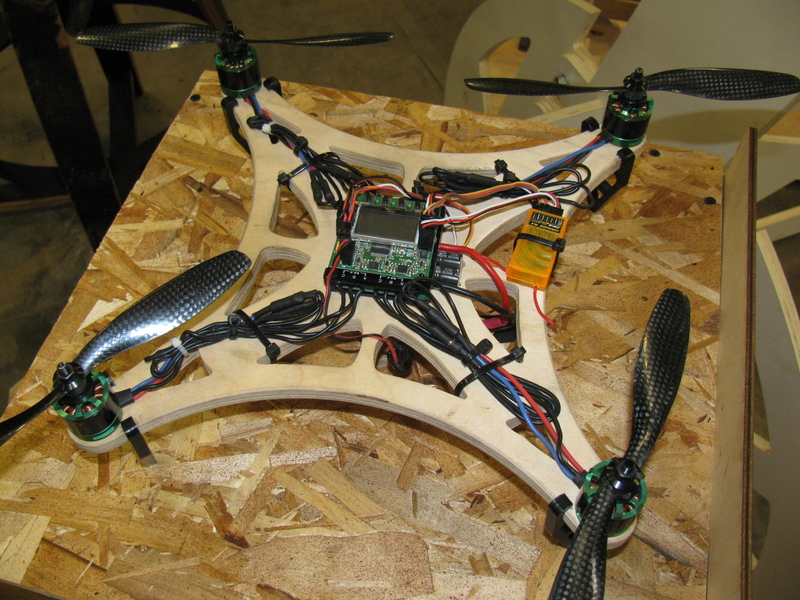 Quadcopters seem to be trendy with Makers. Maybe this is where Jeffery Bezos got that idea for small package delivery?